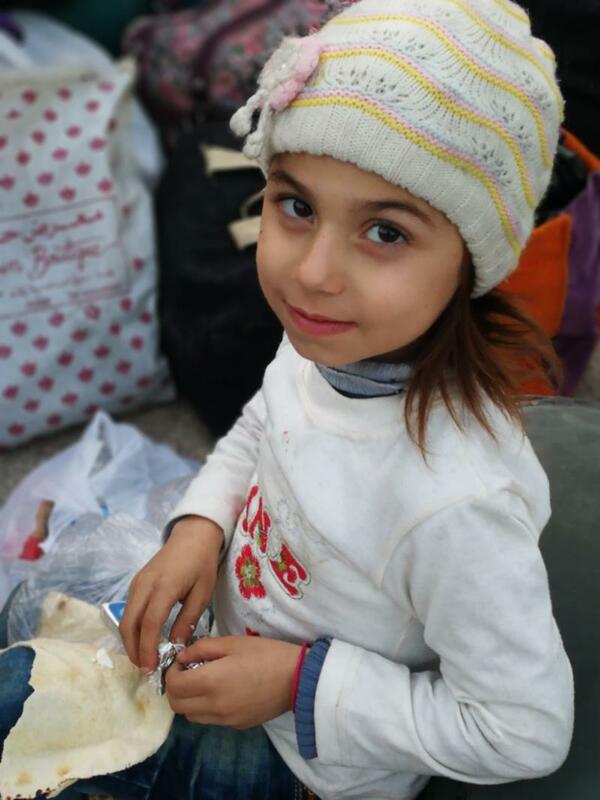 Washington DC- UOSSM responded to the forced displacement of the first two groups of people from Ghouta. On Thursday, 450 families, roughly 2000 people, were displaced from Harasta, Ghouta. The second group of over 3000 people were transported earlier this morning. 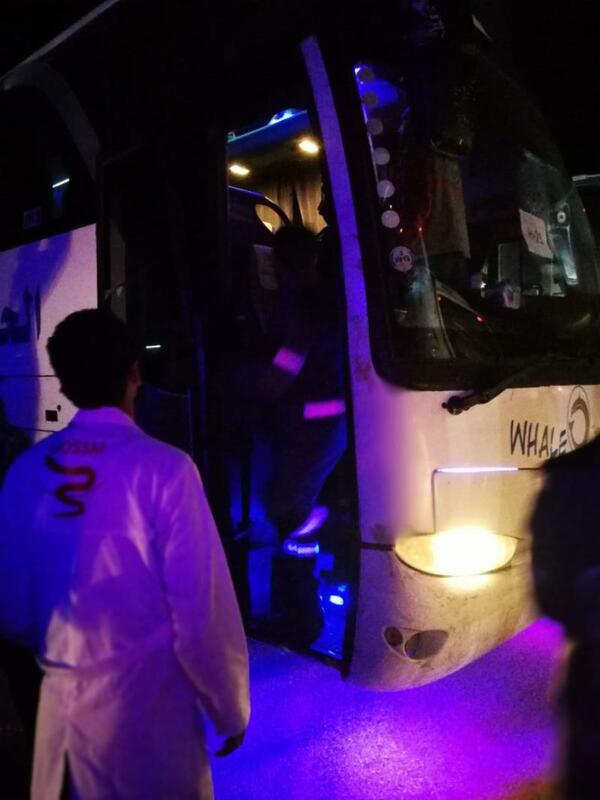 The people were transported from Harasta to Qalaat Al Madeeq in the suburbs of Hama. 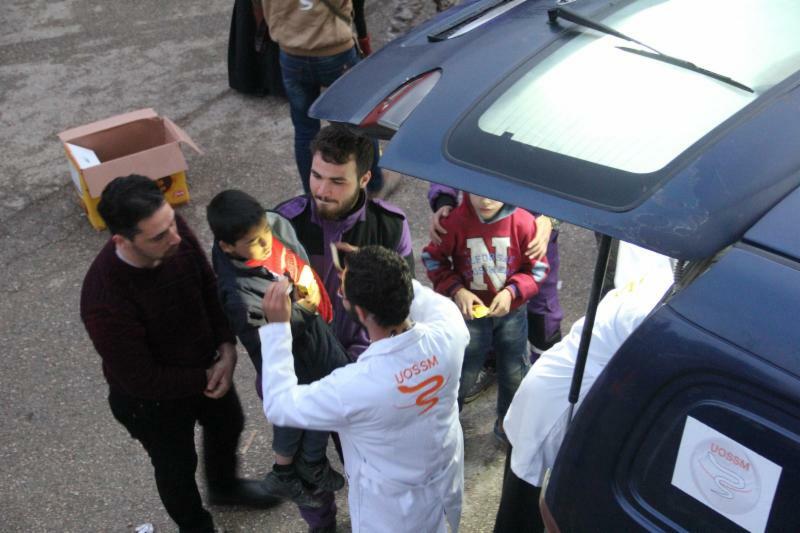 UOSSM provided child protection services, primary health care services, and ambulances to transport severe cases to area hospitals. UOSSM was one of several organizations aiding in the process. Many of those that came, including numerous children, were in poor medical condition (intestinal infections, hepatitis, skin disease, trauma injuries), having received very little medical attention over the past five years. They were, hungry, thirsty, and mentally and physically exhausted from the fierce bombardment they were subject to for over a month, and the siege for over five years. Many have not had clean drinking water or a meal for days. 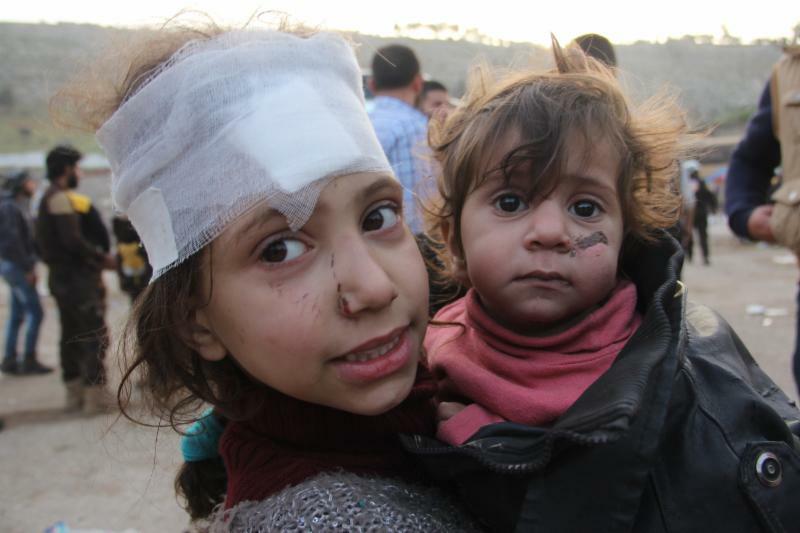 On Thursday, at least 10 patients were in urgent need of medical care. The second group from this morning had at least 300 wounded and ill that needed medical care. 46 were transported via ambulance. Approximately 8000 people will be displaced from Harasta in upcoming days. Since February 18, the bombardment on Ghouta, described as “hell on earth”, has killed 1600 civilians and left over 5000 wounded from the relentless airstrikes. Dr. Ghanem Tayara Chairman of UOSSM International said, “The forced displacement in Eastern Ghouta will create a humanitarian catastrophe. 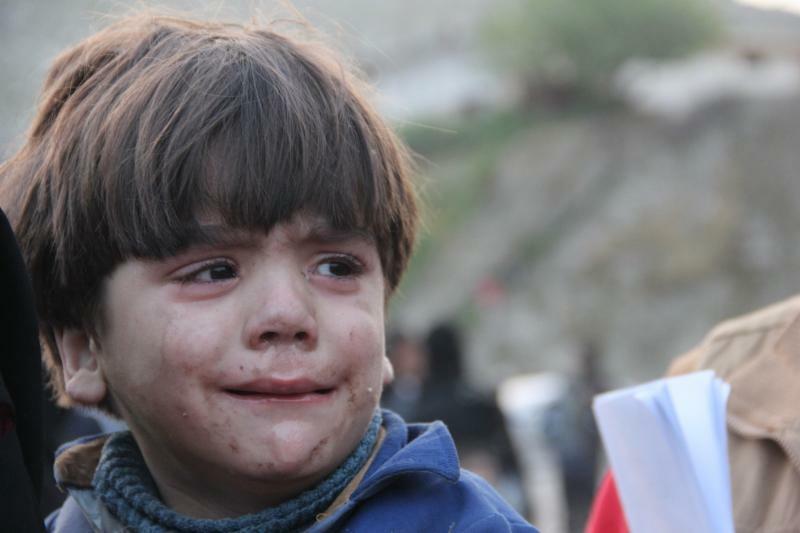 Sadly, their options are limited; stay and be bombed, gassed and burnt or leave without any guarantee of safety." 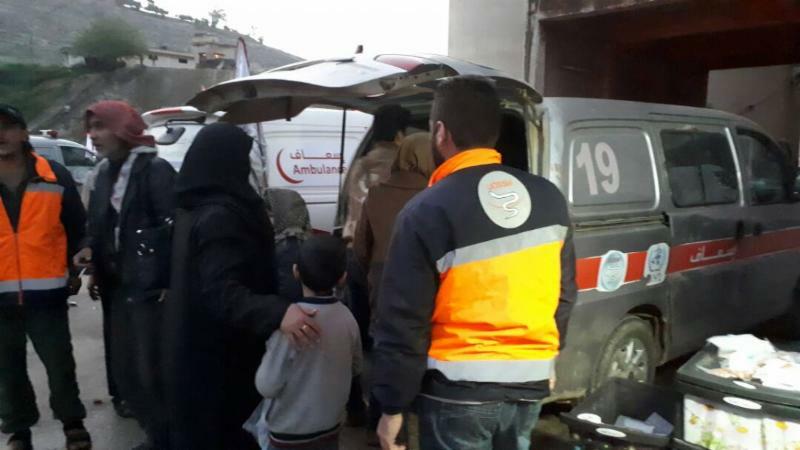 Governments and NGOs IMMEDIATELY release emergency funding for the Eastern Ghouta evacuation response. Specifically; to ensure those displaced receive adequate medical attention, food, safe transport and shelter. 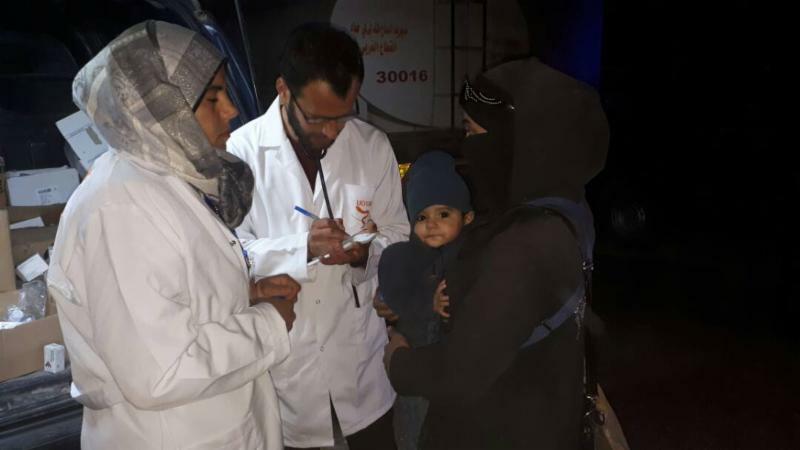 Pictures of UOSSM's response to the forced displacement of 5000 people from Ghouta. Many were children.